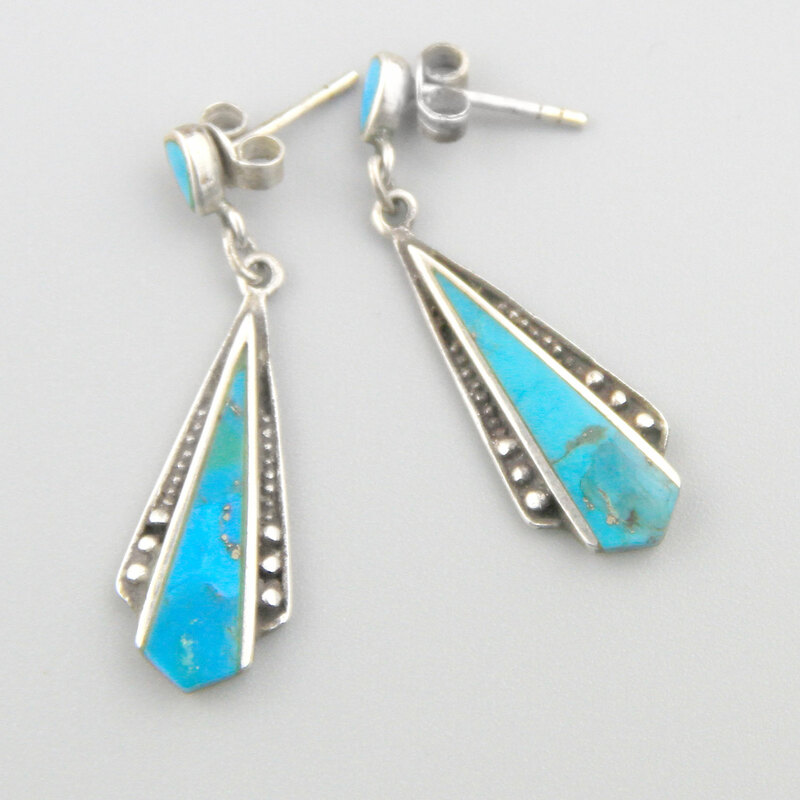 Elegant 70s Turquoise Earrings. 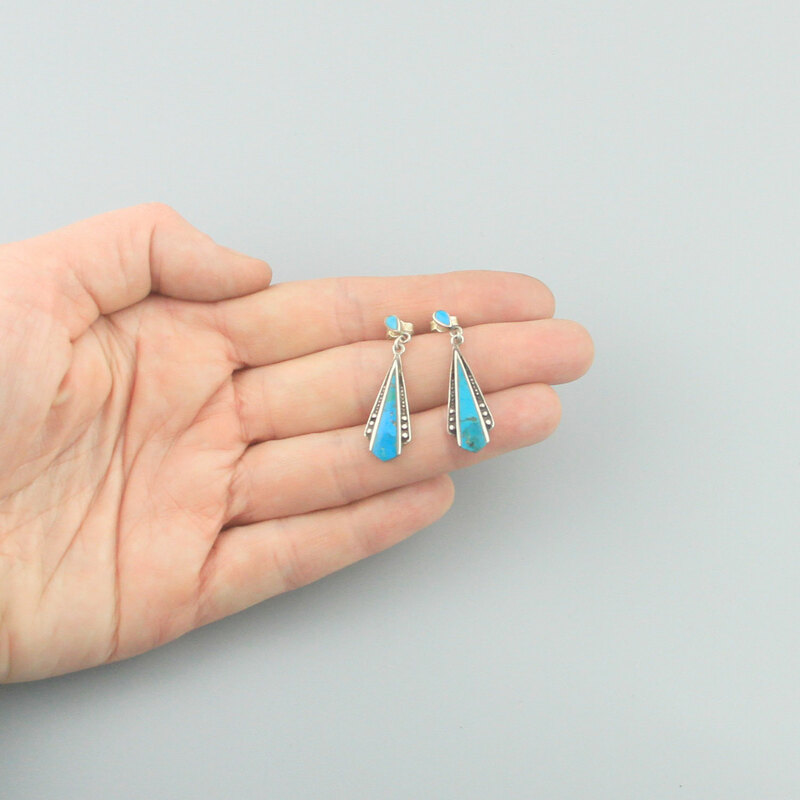 Lovely sterling silver and turquoise earrings. 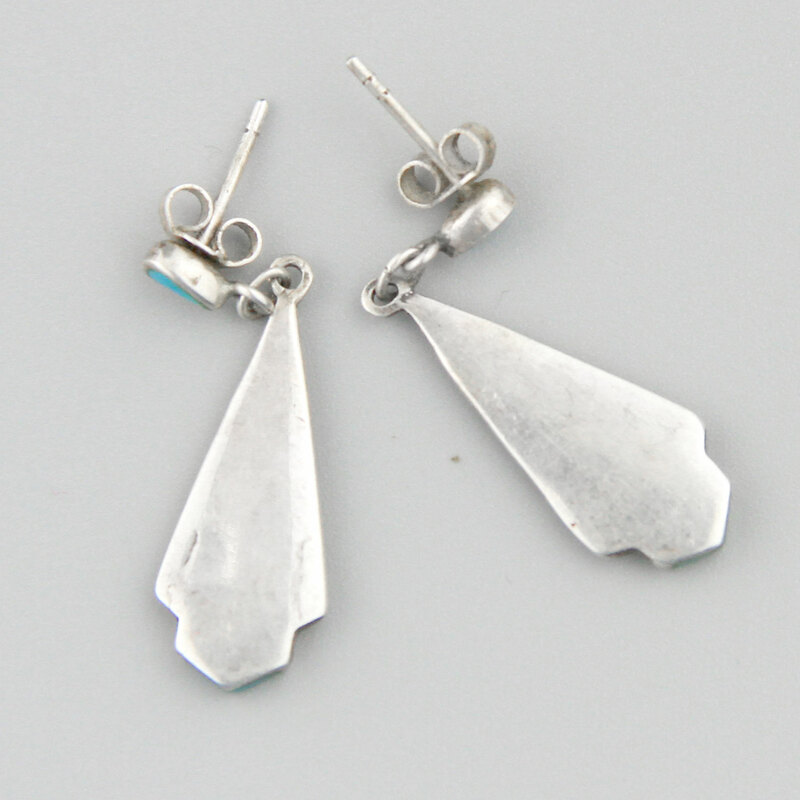 Handmade, circa 70s in an art deco style, elegant and nicely made.